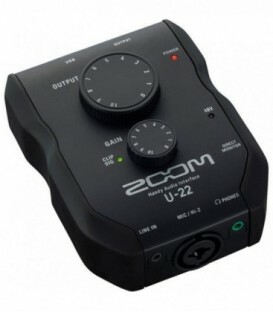 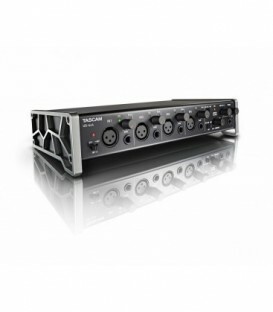 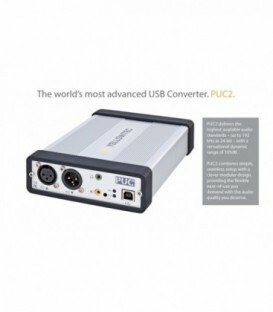 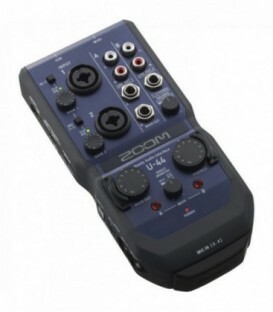 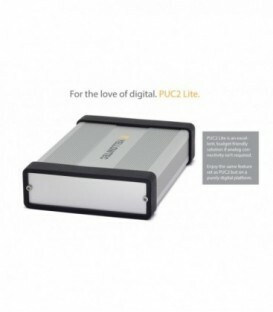 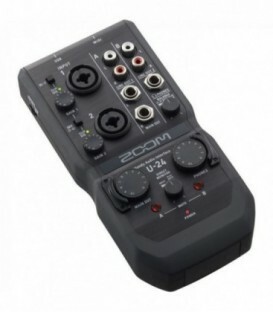 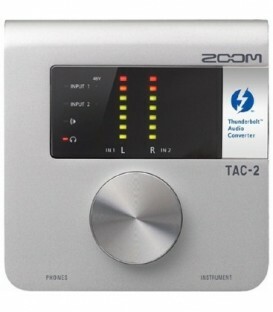 The Zoom TAC-2 is a compact 2-in, 2-out bus-powered Thunderbolt audio interface that allows for ultra-low latency and supports audio up to 24-bit/192kHz. 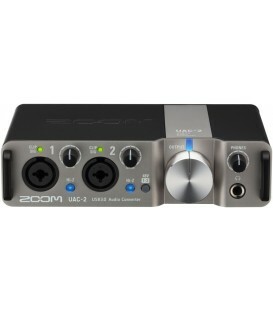 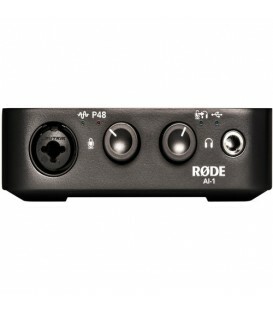 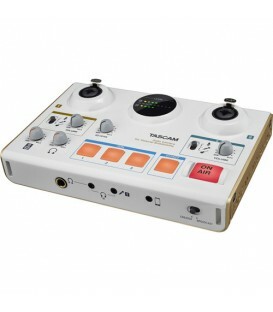 It features two balanced XLR/TRS inputs with 48V phantom power, a Hi-Z input jack for electric guitars and basses and two balanced TRS outputs for connecting an amplifier or powered speakers. 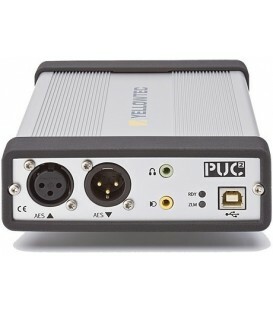 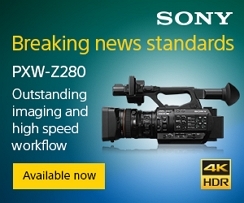 1U compact size for enhanced Dante system flexibility. 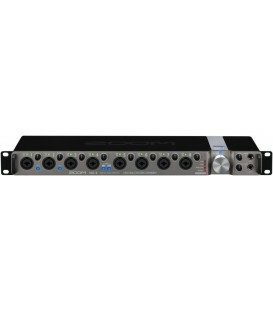 8 outputs. 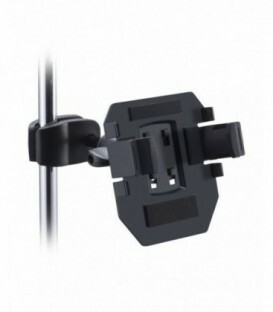 Supports the CL range, as well as other Dante devices. 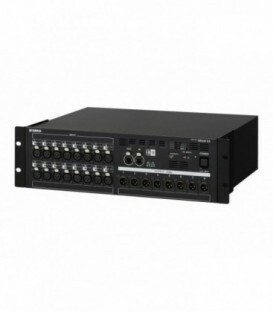 3U EtherSound Stagebox; 16 ch remote analogue input, 8 ch of analogue output. 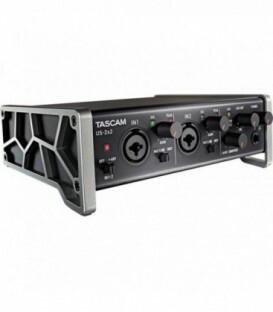 The Trackpack 2x2 Recording Package from Tascasm consists of US-2x2 USB audio interface, a pair of TH-02 studio headphones, a TM-80 condenser microphone, a desk stand and shockmount, and an XLR cable. 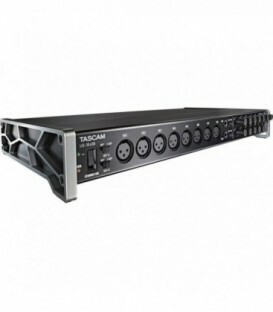 The Celesonic US-20x20 from Tascam is a single rack space USB audio MIDI interface that delivers twenty channels of analog and digital inputs and outputs. 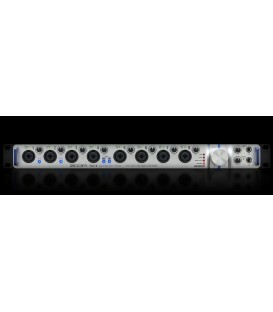 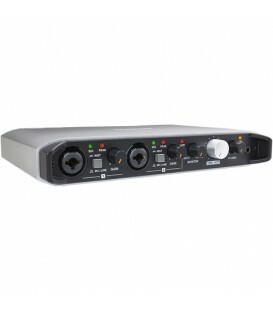 The Kramer FC-404Net is a four-input/four-output Dante interface with line or microphone level inputs and line level outputs. 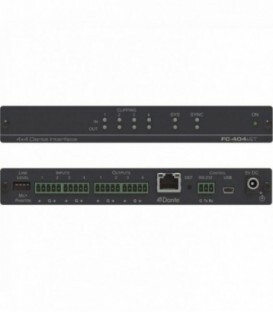 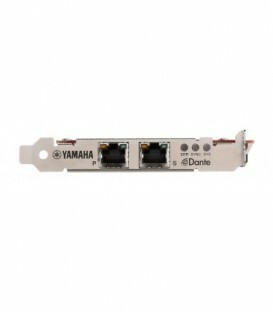 It connects analog inputs to a digital Dante network or outputs four channels from a Dante network.